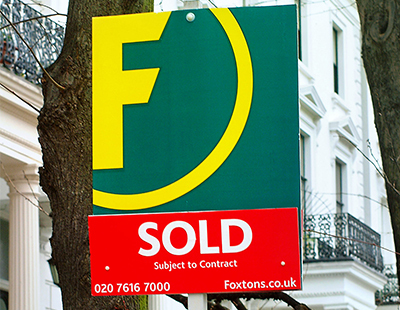 Foxtons has reported its 2017 figures to shareholders and the City this morning and as expected they show sharp falls in sales and profits - lettings income has also dipped. 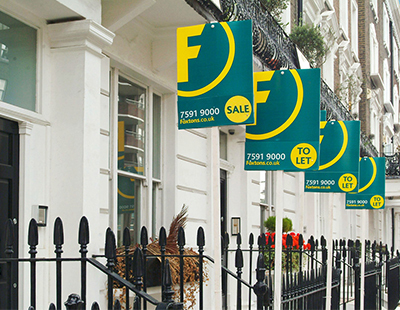 Sales revenue is down 23 per cent as “a result of continued market weakness causing lower transaction volumes.” while lettings are down a more modest three per cent. The company’s Alexander Hall mortgage revenue was down one per cent at £8.7m - “a solid performance driven by re-mortgages” according to Foxtons’ statement. Its profit before tax was £6.5m - a figure that was actually worse than analysts expected. Amongst its operational highlights, it says it maintained a “number one market listings position in both sales and lettings delivering market leading service for customers” while during the second half of 2017 it launched both its MyFoxtons portal for buyers and tenants, and a retention and loyalty initiative for existing landlords. Two new branches in Wembley and Wood Green opened during the year and the agency’s network now covers around 85 peer cent of the London market. “Marketing spend refocused towards digital channels, which has reduced cost of acquisition and improved customer engagement” it adds. "We are pleased to have delivered a performance in line with market expectations. However, sales activity in the London property market is near historic lows and this had a significant impact on our overall performance in 2017” says Nic Budden, chief executive. 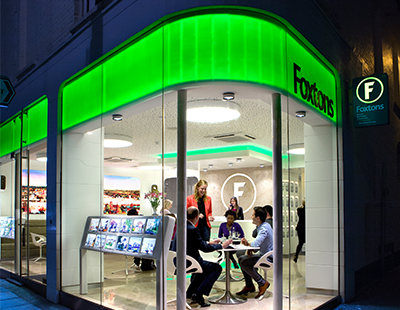 “Growing our lettings business is a priority for Foxtons and we have already seen some encouraging results from the introduction of new customer initiatives and our use of technology and data; we aim to build on these going forward. We anticipate the implementation of the Tenant Fees Bill in 2019. Though at this stage it is unclear exactly what the legislation will look like, we are exploring ways to mitigate the impact. “Looking ahead, we expect trading conditions to remain challenging during 2018, and our current sales pipeline is below where it was this time last year. The cost actions we have taken and our net cash position mean we are well placed to withstand these conditions and make the investment we have identified. We are confident that our high-touch approach to customer service and knowledgeable people delivers tangible results for customers differentiating us from the competition. “The London property market has attractive long-term characteristics and our brand strength, coverage and approach, position us well to manage through the current market uncertainties and take advantage of any future market recovery." Meanwhile Connells is reporting substantially better figures to the City this morning. Its report for 2017 reveals that pre-tax profits rose from £73.4m to £104.2m - up 42 per cent on 2016. Total income was up nine per cent to £457.2m and revenue increased five per cent to £416.1m. It also saw increased market share; with the housing market experiencing a 14.7 per cent decline in transactions compared to 2016, Connells Group says its instructions were down just two per cent, sales down three per cent and exchanges down four per cent. “Connells Group continued to increase its market share, marketing six per cent of properties available for sale in the UK in 2017, offering more houses for sale than any other agent in the UK” it tells the City - suggesting it may have overtaken Countrywide in terms of market leadership. Lettings income was up nine per cent and profits up 29 per cent, with a record 9,000 new homes sold and increases in income from land, professional and investment activities, from surveying and valuation, and from conveyancing. The high street network expanded further to 591 branches during last year. The results include a gain of £38.5m from the disposal of shares in ZPG Plc - the previous year, the profits had benefitted by £17.0m from an earlier disposal. Total pre-tax profits increased by 42 per cent to £104.2m. “Our results show another standout performance from Connells Group and, importantly, in the context of a more subdued marketplace,” says Connells Group chief executive David Livesey. “2017 presented a number of challenges for the industry, but we thrive on challenge and, again, we proved our resilience and maintained our position as the most successful and profitable estate agency and property services group in the UK. He says 2018 has started positively with a sales pipeline that is up on the previous year, a 31 per cent increase in the number of people looking to sell their home and a 25 per cent increase in applicants, when compared to January 2017. Massive difference in the respective property cycles in and out of London. How does Connells manage to deliver decent results while Foxtons struggle? What's the secret? It's leadership. The Connells Board have all worked from the bottom up. It's people are valued and work hard for the business. Selling the family silver-thats how. 2018 will be the real test for Connells as they have no RM or Zoopla shares left to sell and there is unrest in the camps. Also-the article is incorrect-they have no share holders- they are owned by the Skipton Building society. Nothing special? £100k average profit per branch is pretty decent.